IPL 2019: Top 3 unexpected picks at the auction. The fever of the Indian Premier League has started.The auction concluded in Jaipur and all the teams walked out pretty satisfied with what they had bought in the 6 odd hours. In limited amount, the teams have built up their sides strength to strength. Each side looks complete, like every other year. But which team goes on to be more successful is something we will know only in March. With teams fighting it out for their shortlisted players, it was a very competitive auction to say the least. There were many West Indians picked this time around, due to their availability throughout the season. Indian pacers also had an ask at the auction, with teams indulging into bidding wars to procure their services. At the end of the auction, every team looks complete on paper, but the strength will be up on display in March end in 2019 when these teams take the field. Teams had laid out their strategies and went about accordingly. But, during the course of the auction, there were some unexpected players who got a place in the sides. Here are those names which were quite unexpected buys. The pacer from Sri Lanka made a comeback into one of the teams this year, after going unsold in the previous auction. Surprisingly, Mumbai Indians decided to give away the only slot for overseas player available to Lasith Malinga, despite having an army of fast bowlers already. 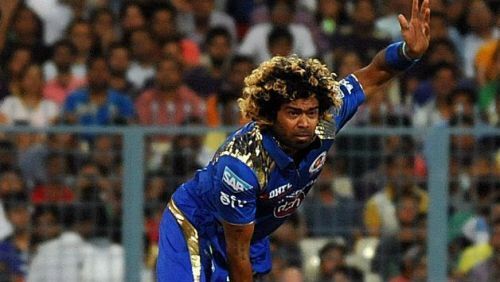 Mumbai have replaced Malinga, who was their bowling mentor last year with Zaheer Khan and thus Malinga will play on field. He has had some injury and fitness issues in recent years. Even after those issues, filling him into the only overseas spot that Mumbai had empty, seems like a mistake and was completely unexpected. However, this mistake could potentially bring in some great rewards if Malinga is successful in delivering goods. The Sri Lankan was bought on the back of a single bid from Mumbai for his base price of 2 Crores.